D.I.C.E Award winner for Immersive Reality Technical Achievement! 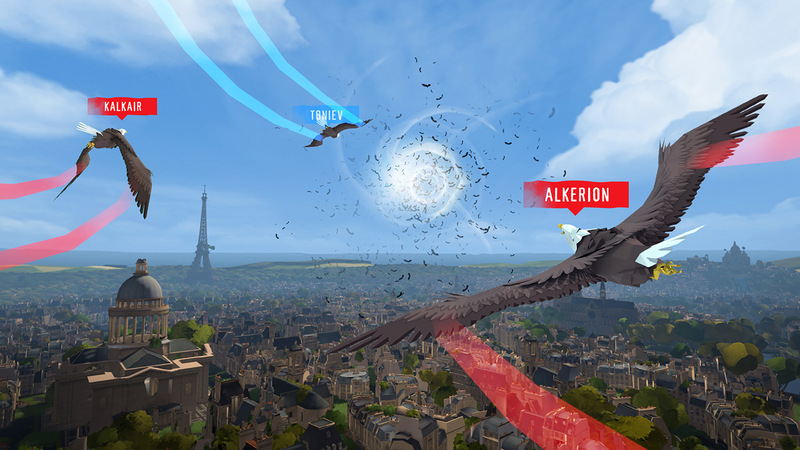 Experience free flight as you soar through the skies of Paris and engage in heart-pounding aerial dogfights in virtual reality. Fly solo or team up for exhilarating multiplayer action with up to six players. 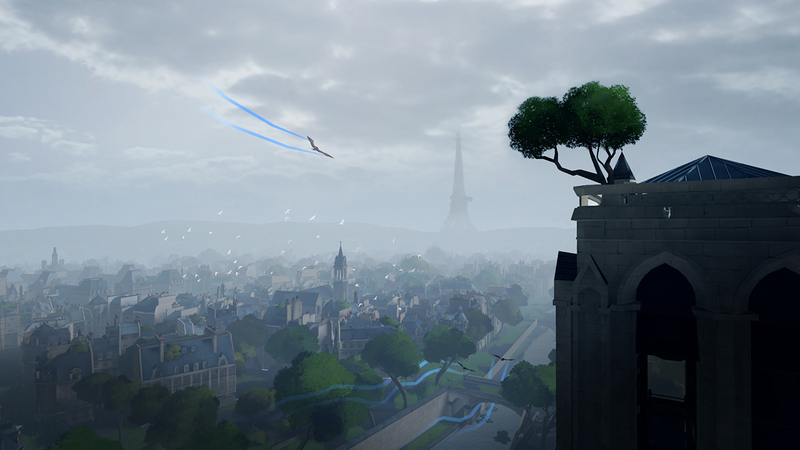 Master flight quickly and comfortably using accessible and intuitive flight controls in VR. 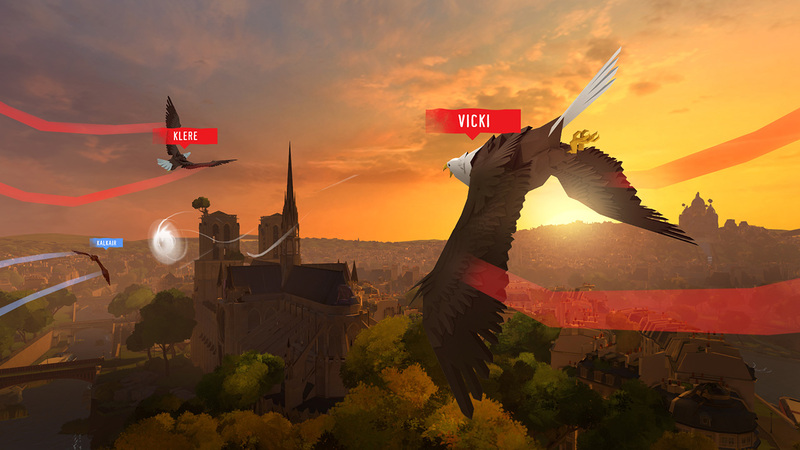 Experience free flight as you soar through the skies of Paris in virtual reality. Dive, pilot, and lead your team to victory in adrenaline-filled multiplayer with up to six players. 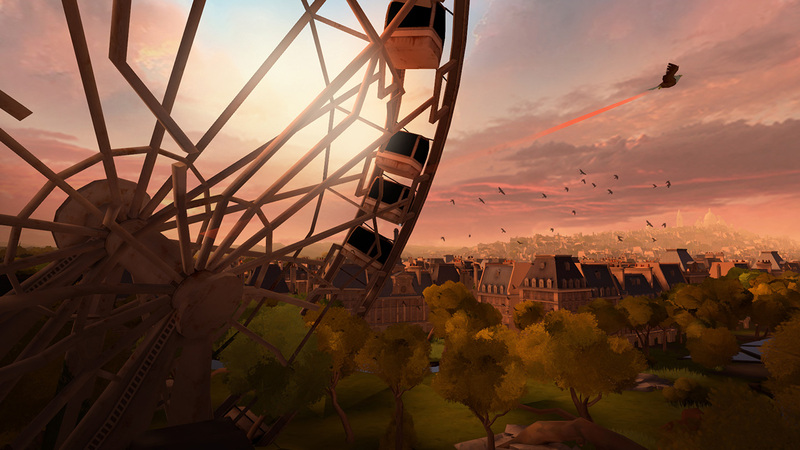 Explore Paris from a brand-new point of view as you soar over magnificent landmarks. 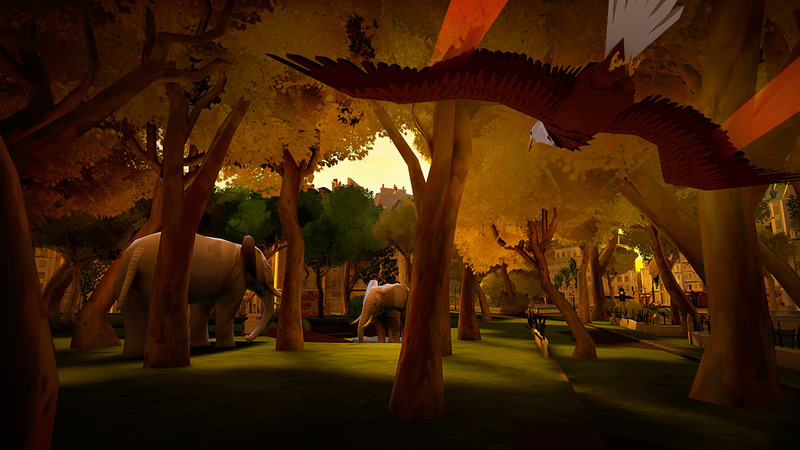 Immerse yourself in a comfortable and accessible flight game, created to take full advantage of VR technology. © 2016 Ubisoft Entertainment. All Rights Reserved. The Eagle Flight logo, Ubisoft, and the Ubisoft logo are trademarks of Ubisoft Entertainment in the US and/or other countries. “PlayStation” and the “PS” Family logo are registered trademarks of Sony Interactive Entertainment Inc.